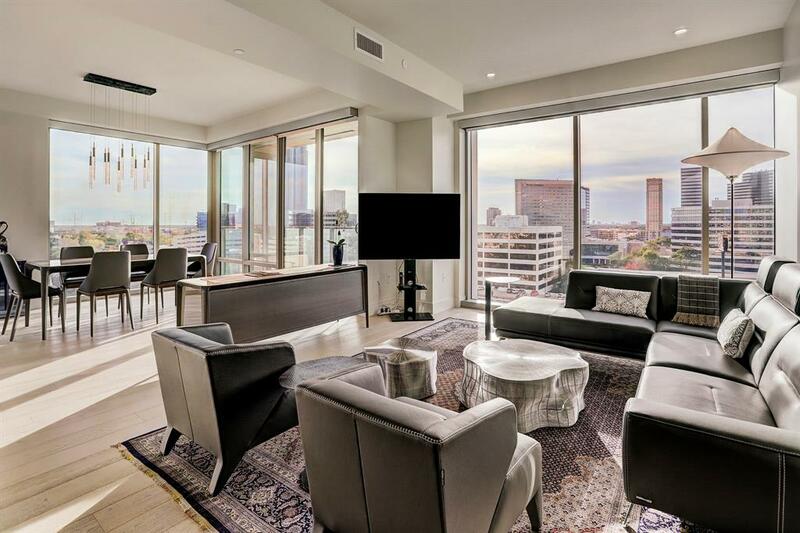 Penthouse available in Houston’s hottest new high rise! This residence features a custom floor plan which boasts 4 bedrooms plus a study & 4.5 bathrooms. Also included are 3 reserved parking spaces (all electric vehicle capable) and one large climate controlled storage unit. The views of downtown and Memorial Park are among the most impressive in the city. Standard features include Sub-Zero Wolf appliances, German SieMatic cabinetry & smart home compatibility. This residence has been upgraded with additional SubZero refrigerator drawers in the kitchen and bar, custom lighting, prewiring for speakers on the terraces, hardwood flooring throughout, master bath steam shower and much more! Building services include 24-hour concierge, valet parking, porter services, overnight guest suites, amazing fitness center, 75' pool with private cabanas and multiple private lounges with catering/prep kitchens. 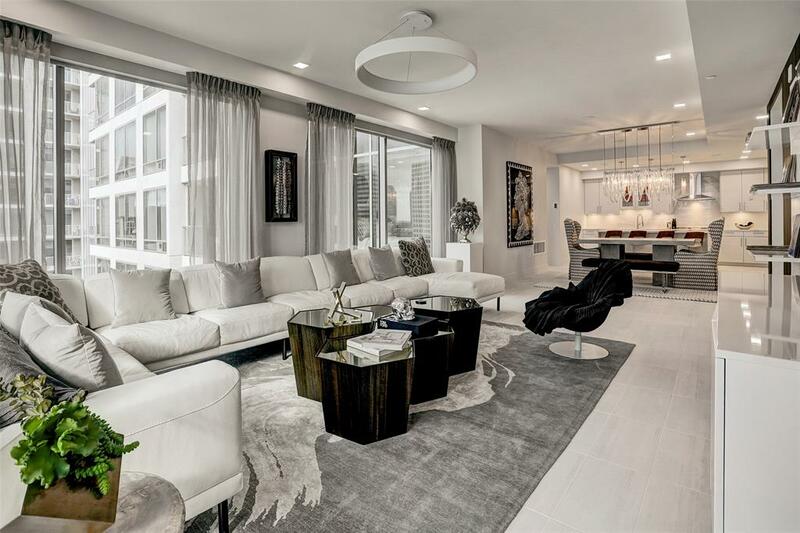 This never-lived-in penthouse has been completely customized and offers 3 bedrooms & 3.5 bathrooms just steps from River Oaks District! The over-180 degree views showcase breathtaking vistas of Downtown Houston, Memorial Park, the Medical Center & Galleria! The home is outfitted with hardwood flooring throughout, gas log fireplace, SieMatic cabinetry, Sub-Zero Wolf appliances and full home automation capabilities such as smart home integration & electric shades. 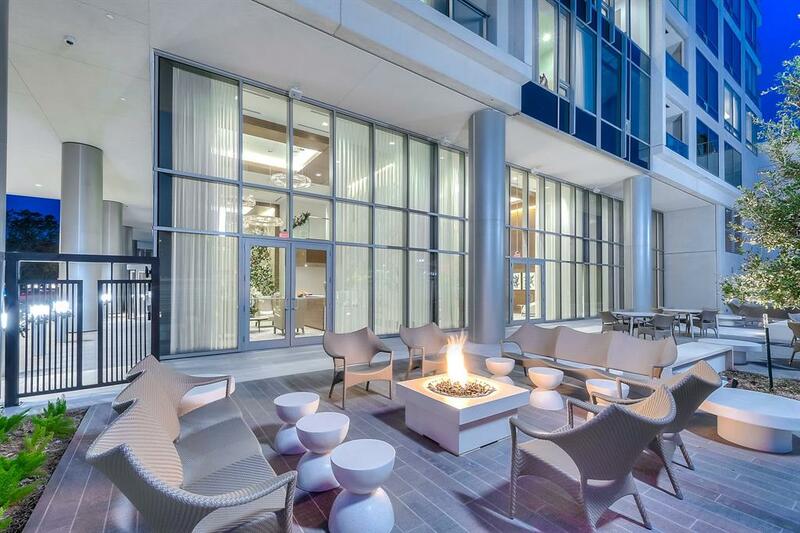 Located in Houston's hottest new high-rise, The Wilshire offers residents 24-hour concierge, valet parking, porter services, overnight guest suites, full fitness center, 75' pool with private cabanas and multiple private lounges with catering/prep kitchens. Included in the sale are 3 reserved EV capable parking spaces and one large climate controlled storage unit. Don't wait to schedule your private showing today! The Wilshire is one of the newest highrises within walking distance to the River Oaks District. 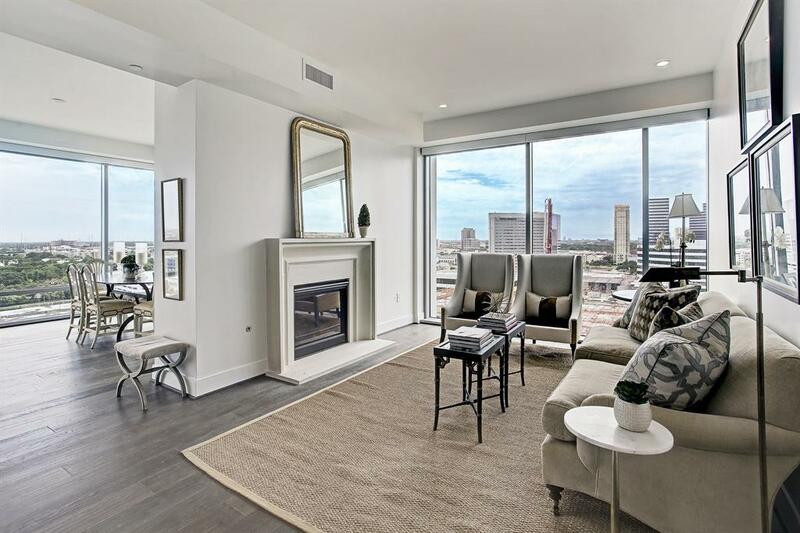 This Penthouse Unit has 3 bedrooms, 3 1/2baths PLUS study, wood floors throughout. German SieMatic cabinets, sealed porcelain countertops, Wolf appliances, Sub Zero fridge and freezer, wine cooler, includes washer and dryer, 3 parking spaces and air conditioned storage unit. Watch our Virtual Tour Video!! *2 Months HOA deposit due at closing plus two months maintenance fee upfront. THE WILSHIRE, Unit 1001 has 3 bdrms, 3 1/2 baths, a media room or study, 2 assigned parking spaces and air conditioned storage. Includes washer and dryer. Overlooking the pool area. East views of downtown. THE WILSHIRE at River Oaks District. At just 300 ft. from River Oaks District, in the most walkable neighborhood. German SieMatic cabinets, sealed porcelain counter tops, Wolf appliances, Sub Zero fridge and Freezer, (building provides) 75ft pool, fitness center, 2 party rooms w/catering kitchens on separate floors, amazing outside amenities on pool level and first floor, valet parking, 24 hour concierge. **Don't miss out on touring this beautiful unit and luxury building! Schedule your private tour today! Never lived in 14th floor corner unit, has been reconfigured from a 3 bedroom into a 2 bedroom + study & 2/5 baths. Floor to ceiling windows with southern & western views. 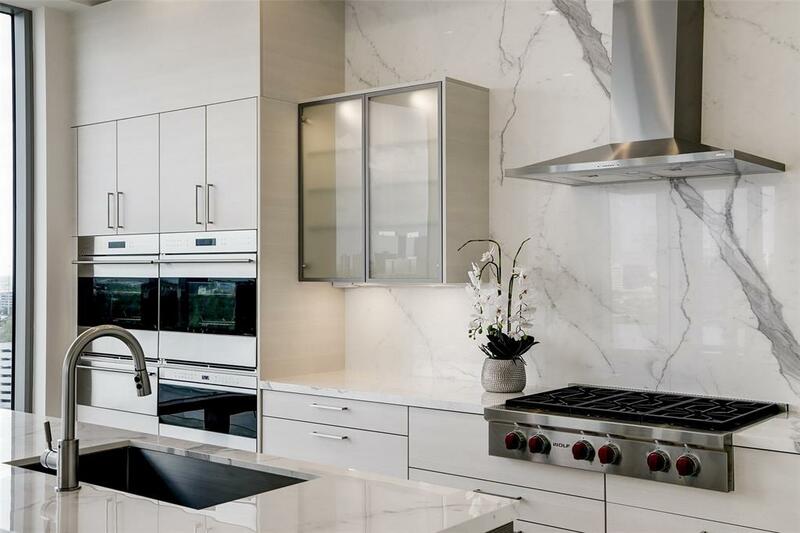 Open chefs kitchen with large island; sleek cabinetry; Wolf & Sub-Zero appliances. The master suite is an oasis with private study, balcony & wall of built-ins, large walk-in closet, gorgeous master bath with glass enclosed shower & deep soaking tub. Secondary bdrm. with full bath, large utility rm. with washer & dryer. This custom unit is completed with hardwoods and fireplace. The Wilshire is a full service bldg., 24/7 concierge, valet, fitness center, pool, dog walking area & more! 2 parking spaces & lg. storage room...next to River Oaks District dining and shopping and Highland Village! 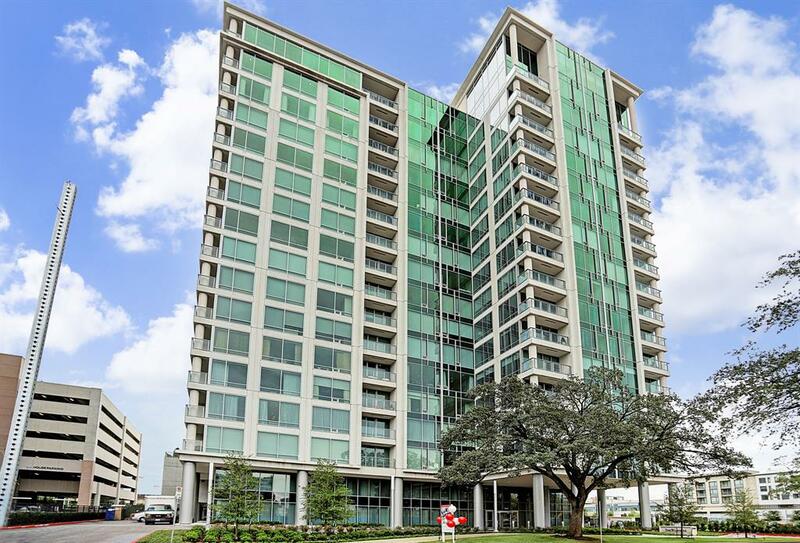 COVETED sold out corner ( I Layout) unit with breath taking views of the Galleria. 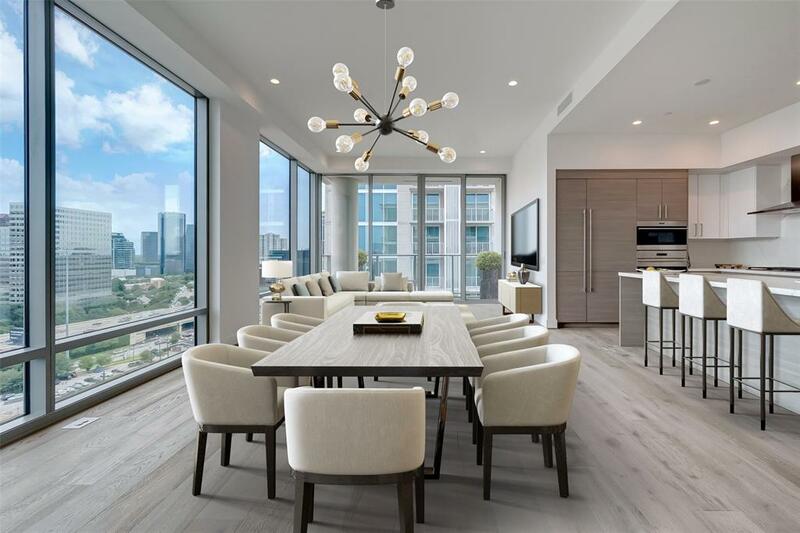 Large unit includes 2 bedrooms, 2 1/2 baths, media room / study and very high end Wolf cooking appliances featuring Subzero refrigerator and German Siematic cabinets. Unit boasts 7' hardwood flooring and over sized closets. The WILSHIRE World class interior amenity areas designed by Kirksey Architecture includes gym, massive recreation room and spectacular pool. 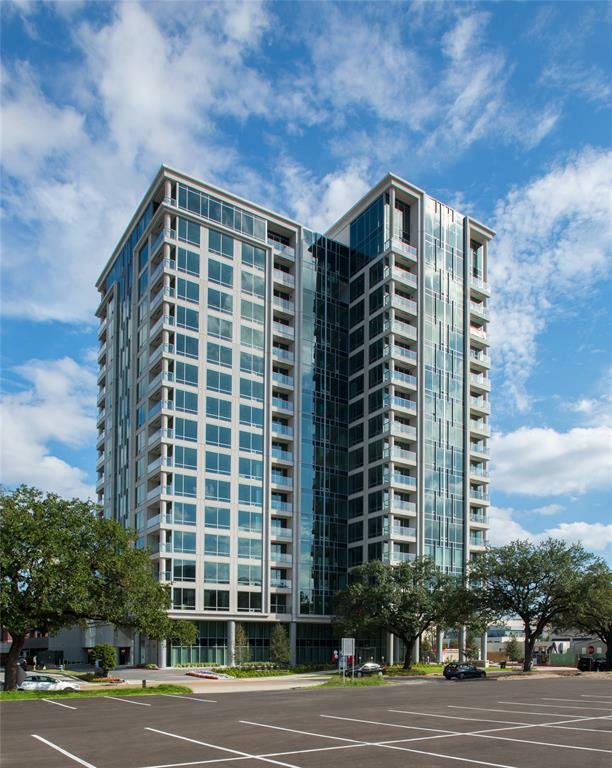 Unit is walking distance to River Oaks District ( 1 minute), Houston's next epicenter for shopping and dining. I am the owner / agent of this fabulous condominium. 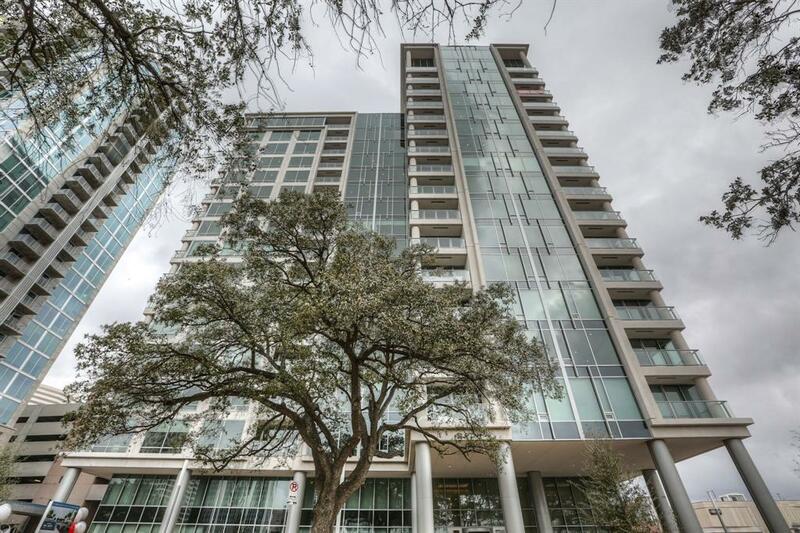 LAST developer owned condo in Houston's hottest new high-rise ! This residence has 2 bedrooms plus a large study & 2.5 bathrooms. Also included are 2 reserved parking spaces and one large climate controlled storage unit. 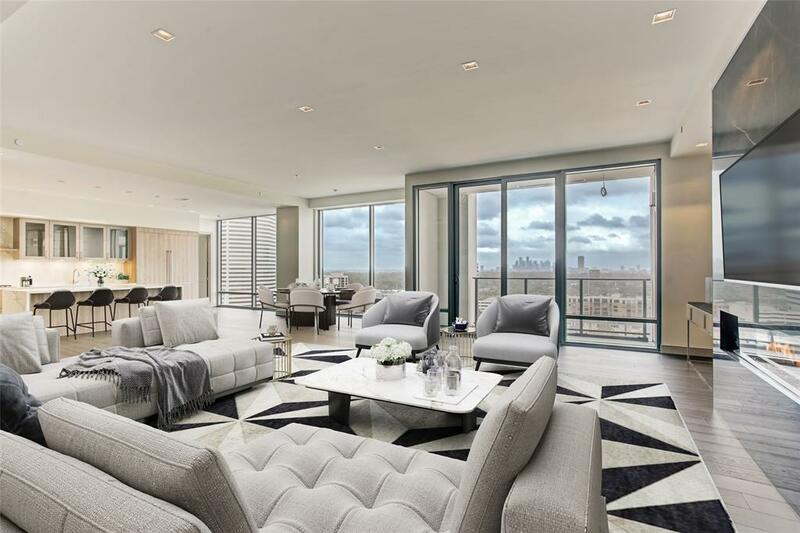 Standard features include Wolf & Sub-Zero appliances, German SieMatic cabinetry, hardwood floor throughout, sizable balcony & smart home compatibility. Building services include 24-hour concierge, valet parking ,porter services, overnight guest suites, amazing fitness center, 75 ft. pool with private cabanas and multiple private lounges with catering/prep kitchens.